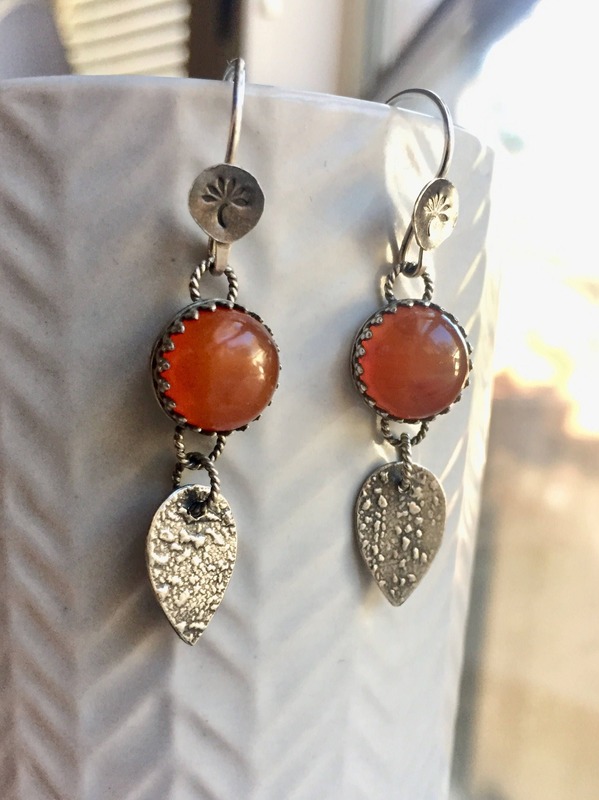 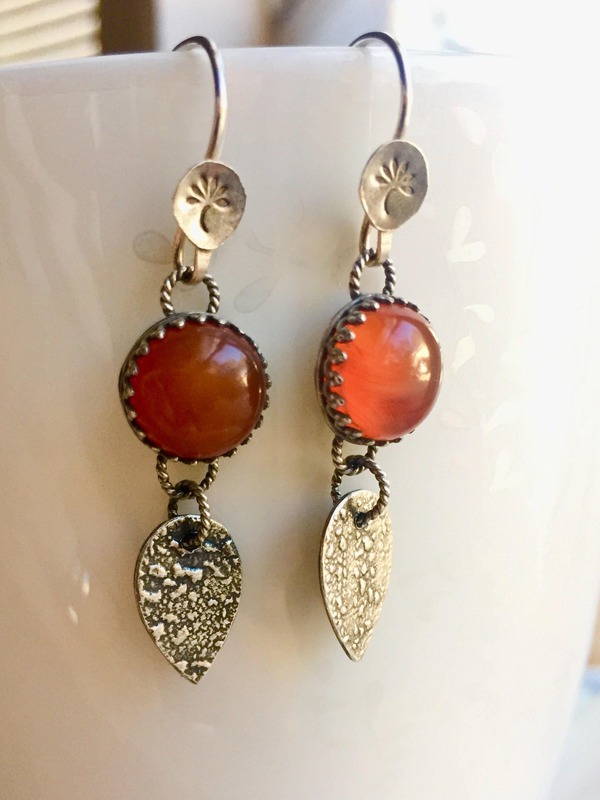 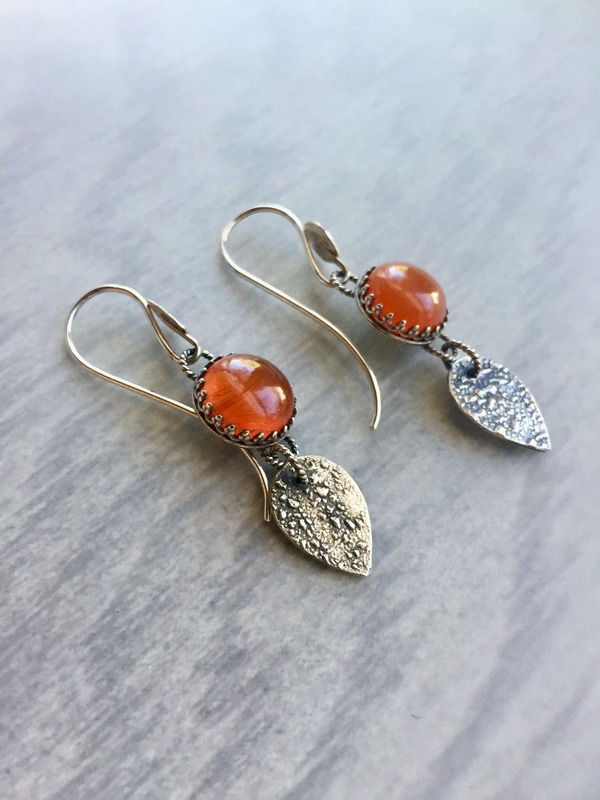 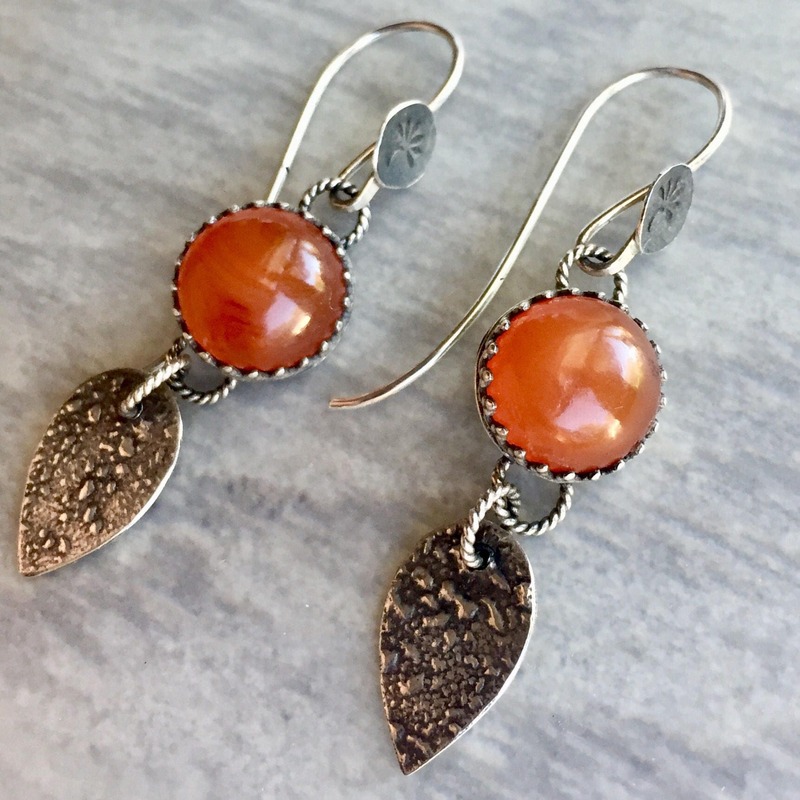 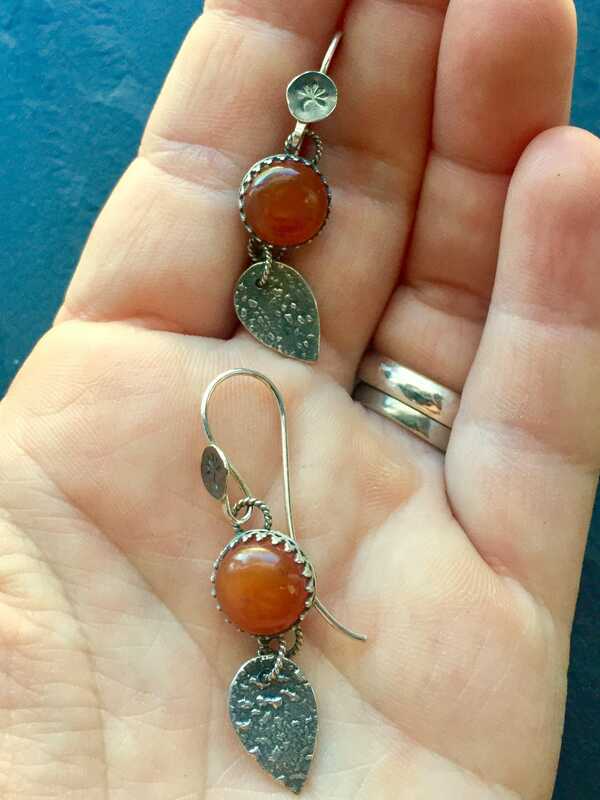 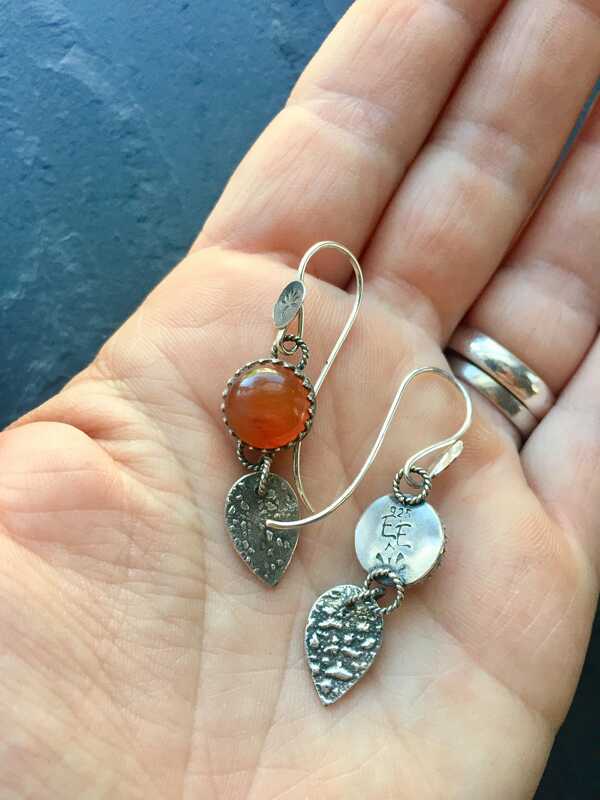 These are beautifully flame-worked silver earrings with an ember-texture oxidized silver teardrop and bright orange carnelian. 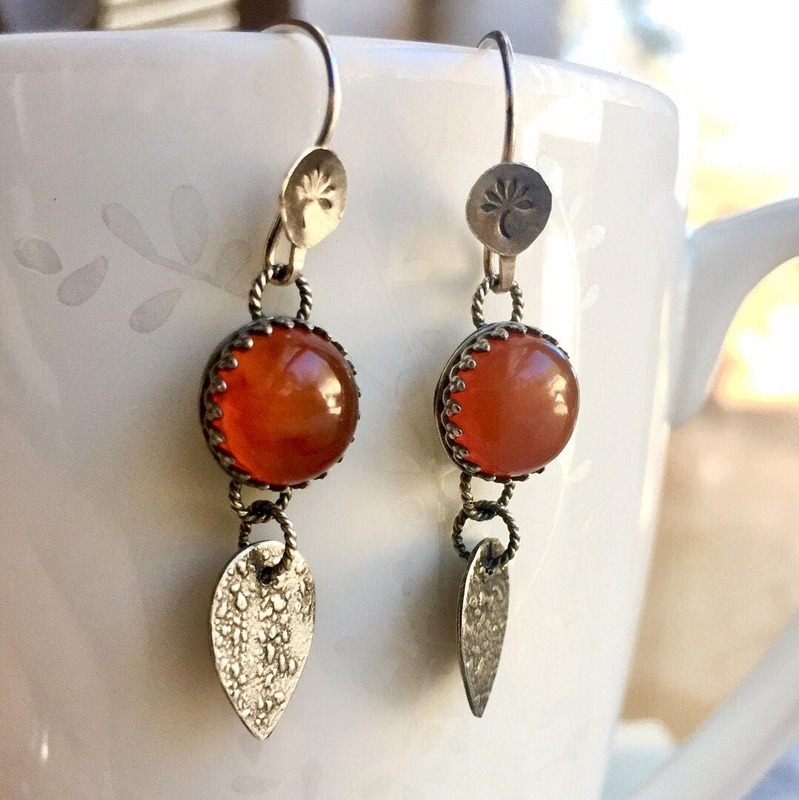 The ear hooks have a fiery floral detail hand-stamped on the front. 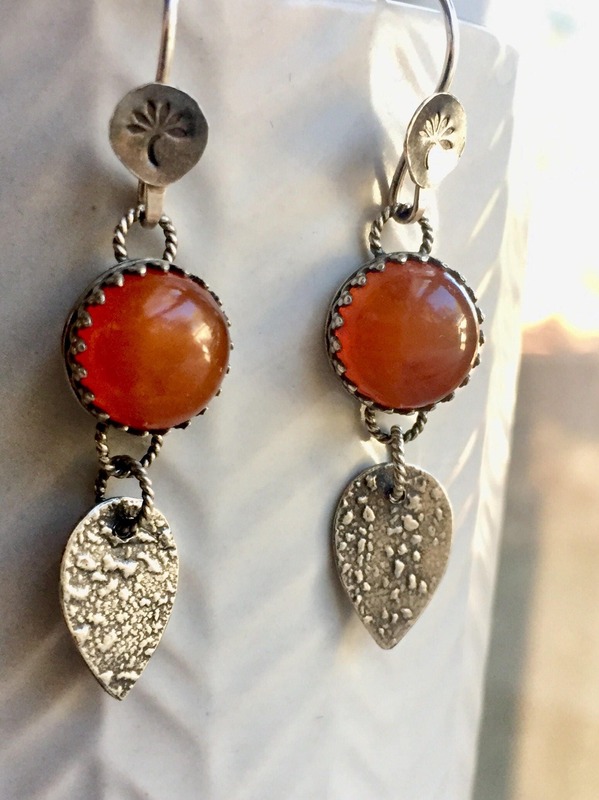 • The carnelian stones are 10mm in diameter. 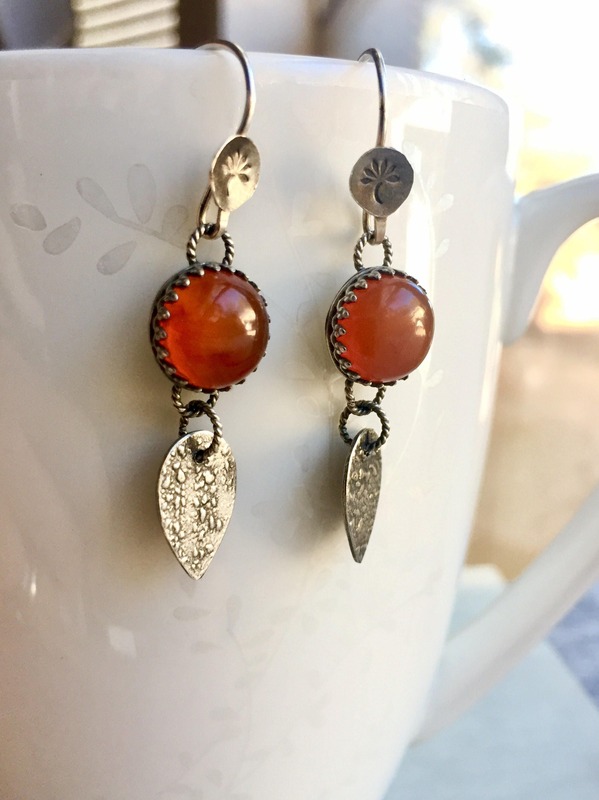 • The earrings are approximately 2" long.